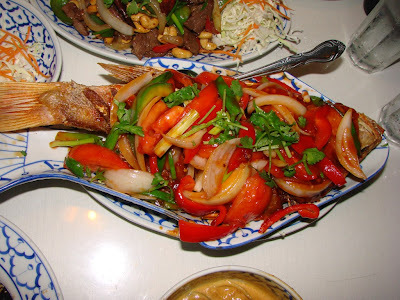 Presenting the Sweet & Sour Fish from Siam Garden Cafe. This is a crisp deep-fried fish smothered with sweet & sour sauce containing tomatoes, cucumbers, pineapples, onions, bell peppers and garlic. All that equates to a colorful and delicious dish and our photo of the day. Siam Garden Cafe is located on Nimitz in the Nimitz Center and open late and while there you can even sing some karaoke. Here is the view from the top of the Mariner’s Ridge hiking trail. On a clear day the view as you can see is spectacular as you can see the Waimanalo side of the island and the inviting blue waters of the Pacific Ocean. 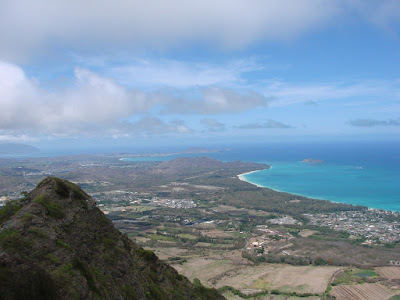 I was supposed to do the Koko Head trail over the weekend the but weather didn’t cooperate so I had to dig into my photo archives to pull a nice ridge view. The sun quietly sets at Kalama Beach in Kailua as those in the ocean enjoy the final moments of the day. Kalama beach overlooks Kailua Bay and is a smaller beach located near Kailua Beach on the windward coast of Oahu. It is usually less crowded. 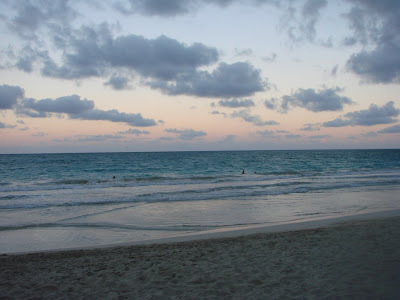 It is an excellent beach for swimming, building sandcastles, picnicking or just enjoying the water and the sunset.